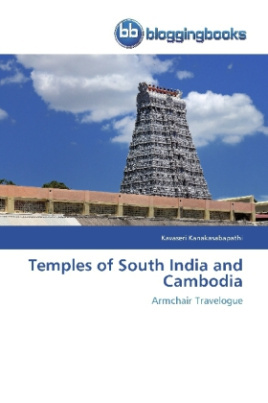 This book is a result of a dream of over forty years when the author first came across information on Angkor Wat and other temples of Cambodia. The spiritual influence of South India on the Cambodian Empire spread over four to five centuries had resulted in creation of monuments of exquisite art reflecting the culture of the period. Later, almost all these temples had to end up in different levels of decay due to neglect, fury of nature and vandalism. Many of these temples were reduced to rubble making restoration work more difficult than solving a giant 3D jigsaw puzzle. The regime of the despot Pol Pot in the 1970s added to the destruction. A visit to Cambodia is not complete without spending a day at the Killing Fields. Every temple of South India is unique in its architecture and legend based on Hindu Mythology and history. These temples have been constructed over a period covering many centuries and depict the art forms relevant to the period. For a visitor with interest in temple art and architecture, these temples are visual treats. There are thousands of temples not in the tourist path which deserve to be highlighted. An attempt has been made to cover just a few of them.